With an update coming later this year, if a favorite team is playing a game covered by ESPN, that event will appear at the front of the TV app's "Up Next" section. Users will also get notifications about imminent or close games, and optionally see scores and remaining time on thumbnails. A dedicated Sports tab will show every live and upcoming game. More immediate upgrades include automatic switching between light and dark modes based on the time of day, and homescreen sync in homes with more than one Apple TV. The software will also support AirPlay 2, though that standard primarily enables HomeKit and multi-speaker audio control for iPhones and iPads. tvOS 11 will be default on the Apple TV 4K, shipping later this week, and accordingly enable 4K resolutions in video and on the homescreen, as well as HDR (high dynamic range) on compatible TV sets. 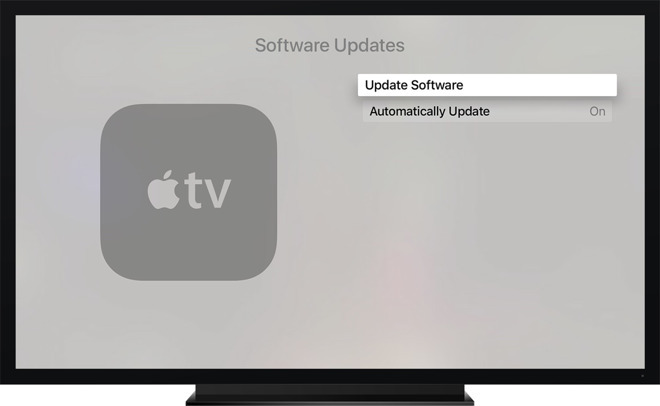 If the update isn't set to download automatically, people can get tvOS 11 by going into the Apple TV Settings app, then selecting System, Software Updates, and finally Update Software. Apple is today also releasing iOS 11 for iPhones and iPads, and watchOS 4 for the Apple Watch. 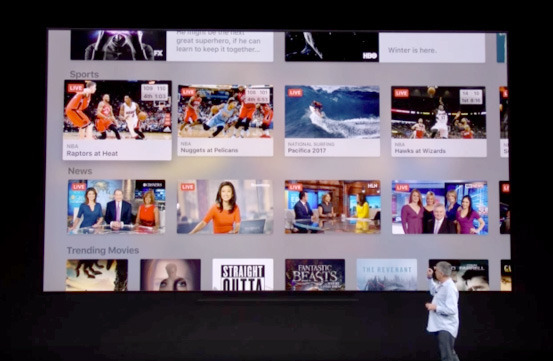 Update: An Apple spokesperson notes that live sports and news won't be coming to the TV app until later this year. The article has been updated to reflect this.